Baños offers something for everyone. Its small town atmosphere (safer than most cities) is ideal for strolling down the street, talking with vendors, and relaxing in a park. Bicycles are widely used. There are plenty of good restaurants, artisan shops and spas. The Sunday market hosts a wide variety of fresh produce from the Tungurahua region. The city has four locations for natural hot baths. 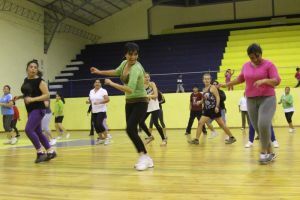 This is a favorite pastime for locals and tourists. 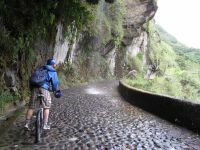 These activities are in or nearby Baños. With many tour operators in town, it’s easy to book numerous adventures during your stay. 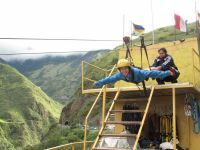 Because Baños is centrally located and only three hours from Quito, it is also the ideal place to organize your overall Ecuador trip. Many Baños tour operators offer Amazon jungle trips, as well as tours to Cuenca, the Galapagos Islands, Otavalo and more.